Kitchens need to be cosy, comforting, glam, inspiring, hard-working and practical. It’s a lot to ask I know! But it can be done. 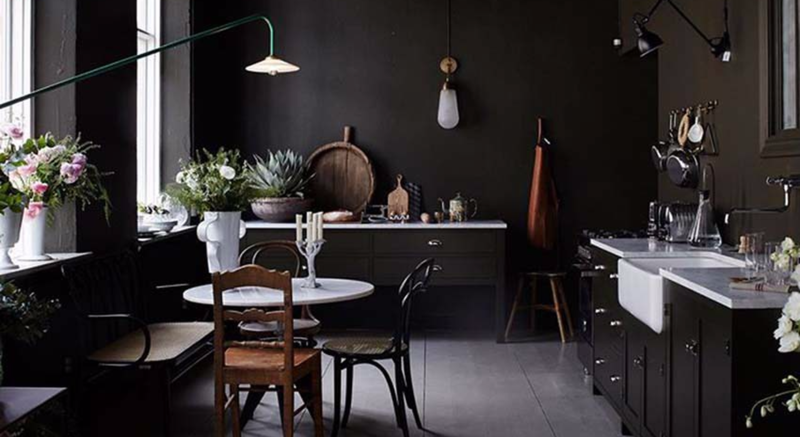 These are the most inspiring kitchens I’ve come across this year. 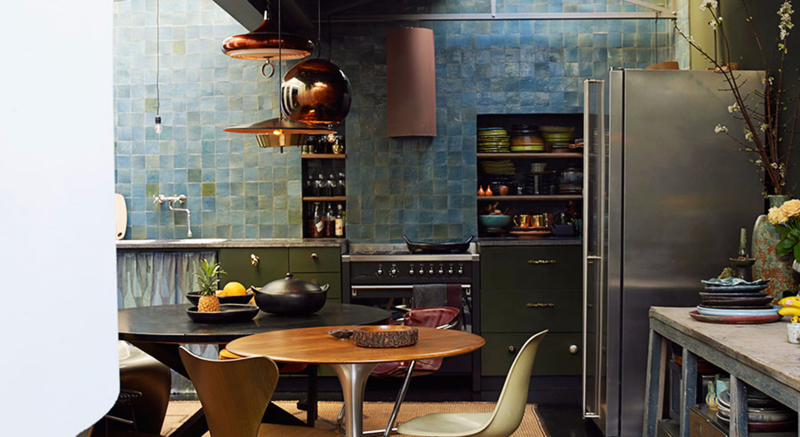 Some are huge open-plan spaces, some are dream kitchens with full-length dressers and bars, some are tiny little galley kitchens in Parisienne apartments. What they all have in common is amazing extra details that take it to the next level. Just because there’s a whole long checklist of things you have to have in a kitchen – work surfaces, sinks, appliances, storage etc., doesn’t mean that the job’s done once all that’s in place. The fun bit is where you get to add a smattering of style and personality on top. 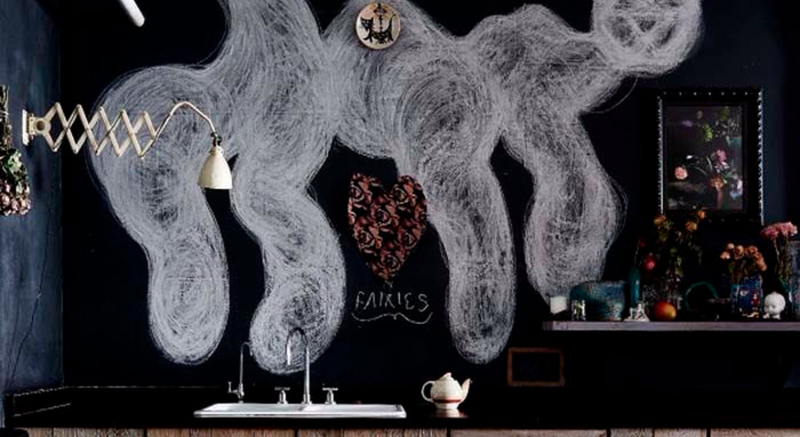 So with the walls you might opt for bold colour, exposed brickwork, amazing texture or artwork. The cabinets can be a chance to show off luxurious tactile finishes and amazing materials – just check out the raw wood, patina-ed antique metal, burnished brass and matt black versions above. However cool they are thought, I’m not a fan of banks of closed cupboards (too dull), so I always gravitate towards kitchens that have incorporated some open storage and styled shelves. 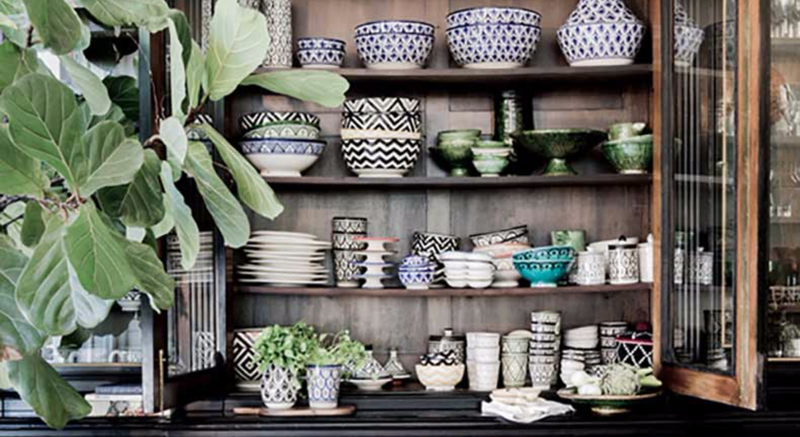 It’s a chance to show off your favourite collections of tableware, glasses, platters etc. Find some fabulous lighting to be the final jewel on top, and you’re done! I reckon all these kitchens in the gallery above have style and personality in spades. If you had to vote, which would be your fave? Here, polished and raw concrete walls and floors meet a section of framed glass with views across the house. 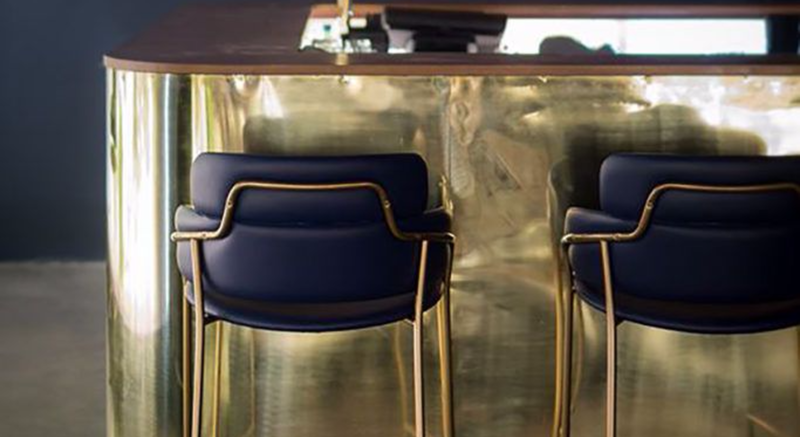 A dark colour scheme and mid-century pieces contribute to the glamorous, urban look in this west-London town house by interior designer Suzy Hoodless.